Local baker and restaurateur Marty Colleary has just opened a new restaurant, Colleary’s Bistro & Bakery, on North Tustin. 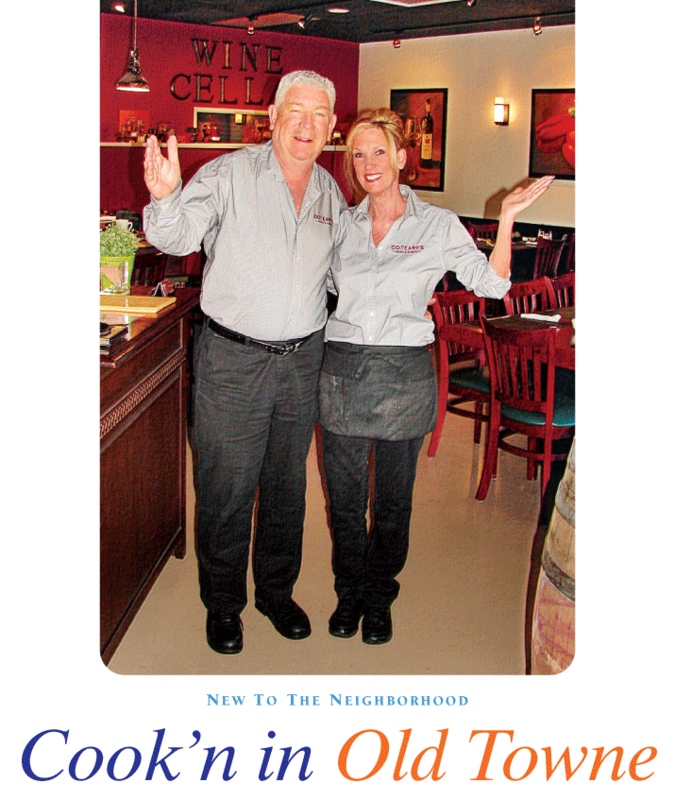 He is pictured with server Julie Pettis, who worked with Marty for many years at his former Villa Park location. For Old Towne baker Marty Colleary, getting back into the restaurant business is a piece of cake. Marty, who currently owns Creative Cakes in Old Towne and previously ran a popular café and bakery in Villa Park, has just opened a new restaurant on North Tustin called Colleary’s Bistro & Bakery. Known for his famous white-chocolate curl cake, Marty is equally adept at preparing delicious, homemade Italian food, as evidenced by his new restaurant located in the Target shopping center across from Orange Mall. For breakfast, Colleary’s Bistro & Bakery features items such as Italian Eggs Benedict and Lemon Ricotta Italian Pancakes. The lunch menu highlights fresh Italian pastas, salads and soups like homemade tomato-basil bisque. Open seven days a week beginning at 7 am, the bistro is gearing up for nightly dinner service Tuesdays through Saturdays as soon as the liquor license is complete. The dinner menu will include fresh seafood and pasta, chicken dishes and savory entrées served with homemade Italian sauces. As he did for his daughter’s shop, CocoRose, in Old Towne Orange, Marty has put his interior design skills to good use, creating a warm, bistro-like feeling in the space and showcasing original art by his sister-in-law, an accomplished artist from New York. He also added a community bulletin board in the back for local non-profits to promote their events. The family-friendly restaurant is already attracting a loyal following.